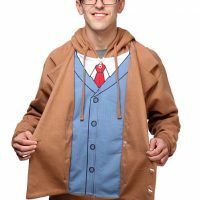 The Doctor Who 10th Doctor Zip-Up Hoodie is a double-breasted hoodie that has the Tenth Doctor’s shirt, vest, and tie screenprinted on it. 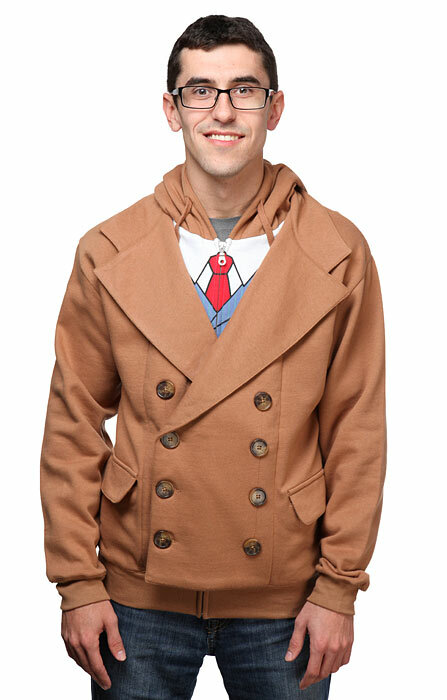 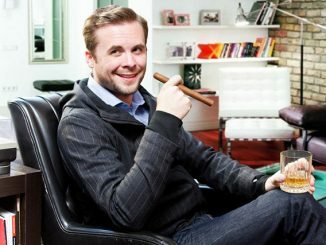 It will turn you into a well-dressed timelord. 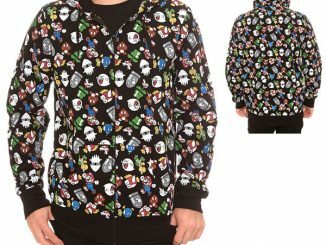 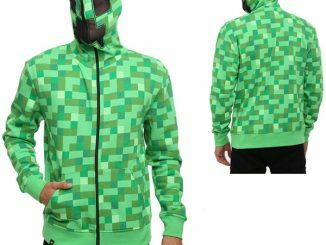 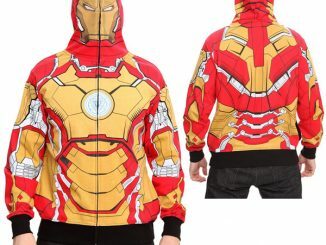 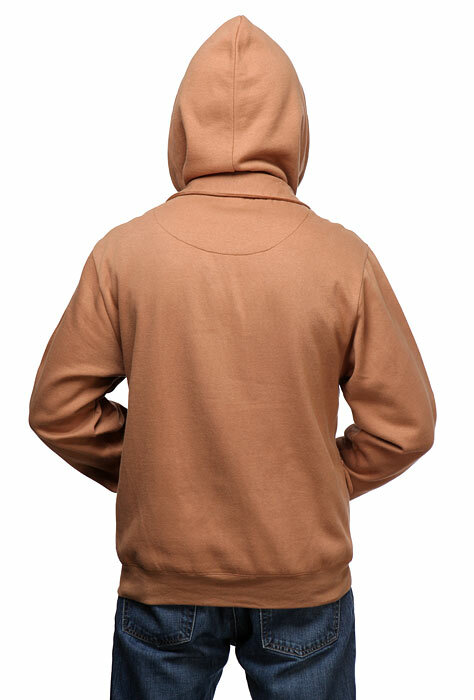 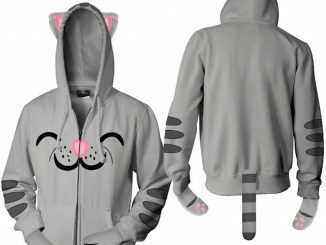 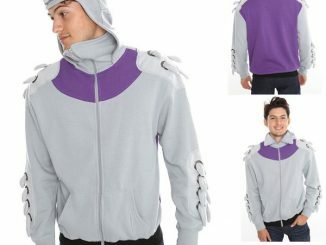 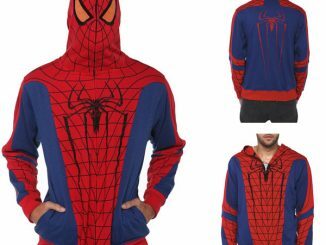 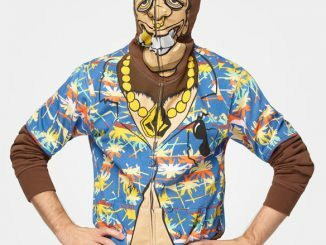 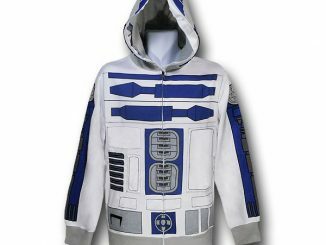 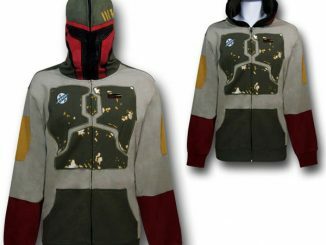 This tan 80% cotton and 20% polyester full-zip hoodie is perfect for cosplay or Halloween. 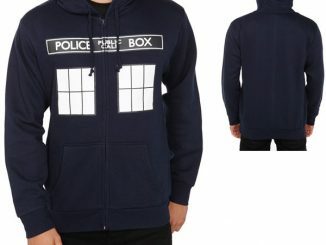 Fans of the 10th Doctor finally have a hoodie that speaks to them. 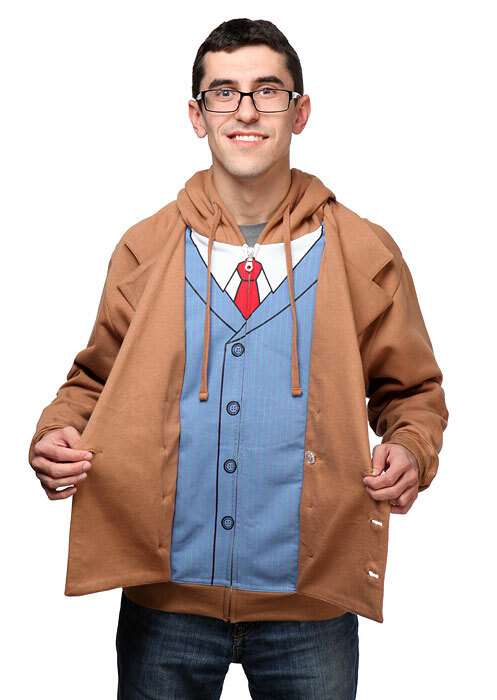 The pockets on the front are even functional and it has ribbed cuffs and waist. 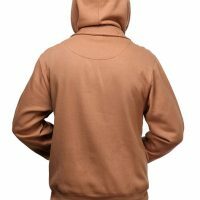 From the back it looks like a completely normal hoodie.